In the Western European knowledge-based economy, technological developments follow each other at a fast pace. R&D and innovation are at the heart of our manufacturing industry. This advanced approach opens doors all over the world. However, due to the increasing shortage of technicians, it is becoming increasingly difficult to further develop or even maintain this leading position. Turnaround times are under pressure, costs keep growing, and work is delayed by the lack of capacity. 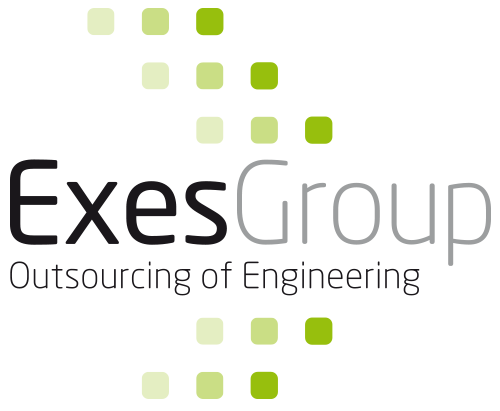 The Exes Group helps businesses in the manufacturing industry to circumvent such problems by outsourcing engineering work to India. By creating flexible capacity, clients can focus on knowledge-intensive activities such as R&D, innovation and concept development. Our goal is to create a situation in which your engineers are specifically engaged in activities which add value to the organisation. Other activities within the engineering department or drawing room that add little value, require little knowledge, are high in volume and very repetitive, will be done by us on your behalf. By making the distinction ‘knowledge-intensive / labour-intensive’, we help our clients to the use right competencies, at the right costs, for the right activities. We are completely focussed on unburdening our clients by providing low-cost engineering. With a pool of more than 1,100 resources, we offer a wide range of activities in various disciplines such as mechanical engineering, electrical engineering and Internet of Things. Exes Group is located at the High-Tech Campus in Eindhoven, the heart of the Brainport region. For more than 10 years, we have been a solid partner in the successful outsourcing of engineering activities. By means of local project management and cooperation that is based on Western European norms, values and standards, flexible, low-cost engineering capacity is more within your reach than you think.